Rain Gutter Repair And Installation Are Our Specialty! 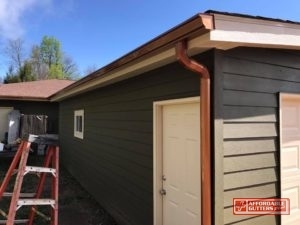 Affordable Gutters Plus, LLC is the one to call for your top quality rain gutter installation needs in Dahlonega, GA. We supply your complete gutter and roof services, giving you top quality rain gutter installation for your house. Each rain gutter installation is completed with our mission in mind, to provide peace of mind with a system that will last as long as you own your house. For the highest quality service around, select our licensed, skilled contractors. One phone call is all it takes to get all of your rain gutter installation answers. For the highest quality service around and rain gutter installation in Dahlonega, GA, contact Affordable Gutters Plus, LLC today at 770-735-4433. 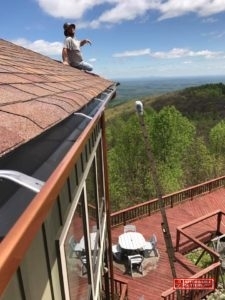 Affordable Gutters Plus, LLC gives all of your needed home services in Dahlonega, GA. You receive more than just rain gutter installation from our contractors who install and repair everything including roof and flashing services. Leaf Guard Gutters: Avert clogged gutters with leaf guard gutters for your home! Metal Roofing: Preserve your house with strong, energy efficient metal roofing. Roof Drainage Repair: Roof drainage repair can ensure your system functions correctly. Seamless Rain Gutters: Leakless, seamless gutters from Affordable Gutters Plus, LLC give your house with defense from water damage. Squirrel Deterrent Flashing: Stop rodents in their tracks with squirrel deterrent flashing for your home. Keep Your Rain Gutters At Their Best With Our Expert Service. And those are just a few of the first-rate services we offer for your house. Your house structure stays intact because your roof system acts as a shield to prevent excessive damage from storms, hail, and even winds. To increase the protection of your roof, have the highest quality gutter system installed. Need to begin on a rain gutter installation for your house in Dahlonega, GA? Dial 770-735-4433 today to talk with one of our contractors about your home’s roof and gutter service needs. Give Us A Call Today At 770-735-4433 For Gutter Services. Homes are big investments that should last a lifetime. 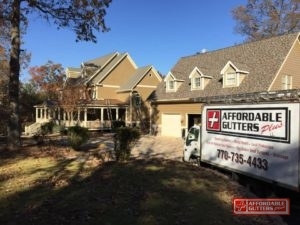 With Affordable Gutters Plus, LLC, you get contractors that comprehend your requirements and strive to supply you with gutters that are installed to last as long as you occupy your house. Our contractors are licensed professionals who work with you to ensure you get exactly what your house needs. No matter what service you need, you always get the best craftsmanship and excellent customer service. Let’s begin today. Call 770-735-4433 for Affordable Gutters Plus, LLC and rain gutter installation for your Dahlonega, GA home today! Updated on May 4, 2017 at 3:24 pm by Affordable Gutters Plus LLC.